Last time I was stranded on a volcanic isle in Sicily I had a lavish fruit dinner of pinkish baby bananas, huge papayas and black sapote, or so-called soapapple, a weird persimmon that has a soft, mushy dark chocolate-like pulp easily spread on a slice of bread like butter or scooped up with a spoon. I was flabbergasted at finding that my exotic meal had not been imported from faraway, South American destinations. It was 100 percent made-in-Sicily. If, and only if, climate change has led to at least one incredible, positive result is that of having killed food miles and therefore pesticides and preservatives used to keep fresh most delicious fruit coming from the other side of the world. Today, we Italians grow it in our backyard. Rising temperatures in the Mediterranean have pushed farmers to experiment and successfully grow non-local tropical plantations, mostly in southern Italy closer to African borders. 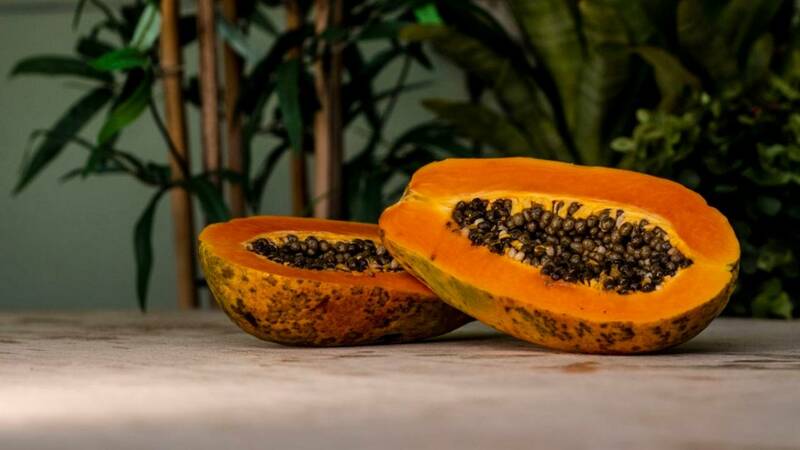 So don't be amazed if during your next tour of the boot you come across banana trees, colourful fields of papayas, avocados, mangos, passion fruit and pitaya (dragon fruit). Even Chinese kiwis have found a fertile terrain in a former marshland south of Rome called the Pontine Plains, making Italy today (believe it or not) the second kiwi producer in the world after China. A few experimental coffee and chocolate plantations are also sprouting. An agrarian revolution is underway. Farmers, aware that something was going on with the climate and that native production was declining, realised that their land would be suitable to extravagant fruits. So they did some thorough research, partnered with university experts and once they had the necessary know-how flew all the way to Brazil and other such countries to pick the best seeds. Back home they set-up niche biological and organic, non-intensive plantations that respect agrarian rotation techniques aimed at not stressing the soil and boosting land sustainability by alternating different produce. 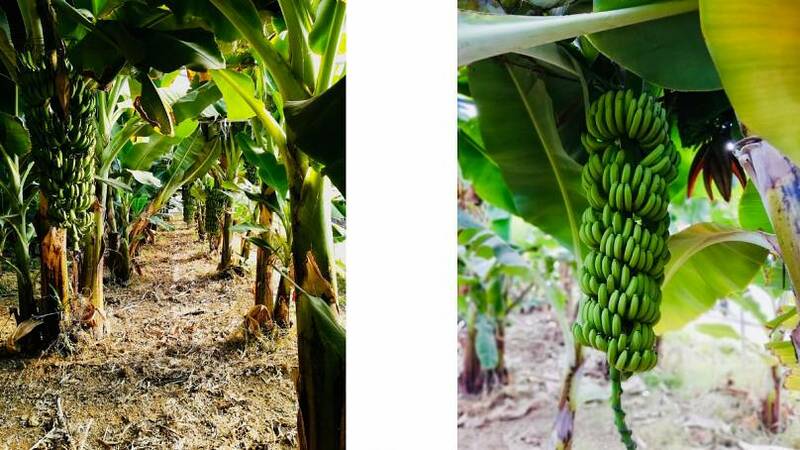 The Palazzolo brothers, two Sicilian farmers growing bananas and papayas near Palermo, have even taken it one step further. "We heal our tropical trees and shrubs, when needed, with other plants by applying so-called basic homeopathy techniques. It's a new groundbreaking method dubbed agro-homeopathy. Just like for human beings, instead of feeding medicine in the form of nasty pesticides we have opted for natural remedies made of herbs, which are the best alternative to chemical substances", says Rosolino. Bananas grow well in Sicily due to the type of landscape made of plains and shores, with the surrounding sea acting as a natural balm. It's also the kingdom of volcanoes, that offer a fertile black soil ideal for avocado production. Other exotic fruit that has found a home in southern Italy, including the regions of Calabria and Basilicata, are Feijoa, pineapple, guava, pomegranate and prickly pears. I, for instance, live in Rome and keep a plant of kumquat in my garden, a small tree that produces miniature mandarines with a pleasant, refreshing bitter-sweet flavour great as a meal-end digestive. These new orchards are not just transforming the scenery but helping revamp the local economy of rural areas. The cost of an Italian papaya is roughly 3 euros per kilo, much less than an imported one. Exotic fruit is also a good alternative to traditional production of oranges, lemons and melons that tend to be frequently attacked by parasites and offer lower profits for farmers who need to ship their produce each day to other Italian cities. Plus, there’s a colourful tourist twist. A few 'equatorial' orchards have now also opened their doors to outsiders, offering stunned visitors guided tours and fruit tastings beneath the shade of green banana trees and bright orange papaya shrubs. Such élite fruit is being catered to gorgeous luxury island resorts in the Aeolian and Egadi archipelagos, where holiday-makers look for gastronomic extravagance. Elegant restaurants here serve fresh fish delicacies sprinkled with locally grown finger lime, dubbed "lemon caviar", more expensive than oysters. There are new lavish food twists: tropical fruit ice-creams and signature dish recipes and salads with mango and avocado. Even booze has gone tropical. Cool clubs have come up with incredible cocktails made of sapote juice and passion fruit. Even just a sip will kill another food mile.